Anyone navigating South by Southwest has to contend with the usual dilemmas (too many set-time conflicts, too many wristbands cutting off circulation in your wrist), but behold as Brooklyn-based electro-pop wunderkind MNDR struggles with gaining entry into her own gig in the Austin ‘burbs. SPIN followed Amanda Warner around the fest in March with video cameras (thanks to ABSOLUT Vodka) and caught a unique glimpse of what really goes into getting a buzzy gig going from behind the scenes. 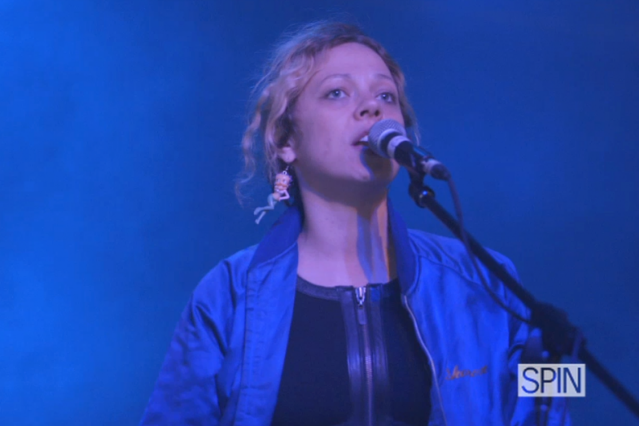 Plus, watch our Night Out With… Doomtree and come back next week to check out our Lower Dens vid.